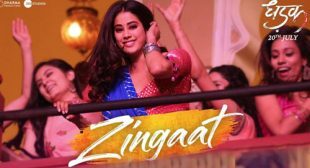 Zingaat from Dhadak feat Janhvi Kapoor & Ishan Khattar is sung by Atul Goglave. Its music is composed by Ajay Atul and lyrics are penned by Amitabh Bhattacharya. 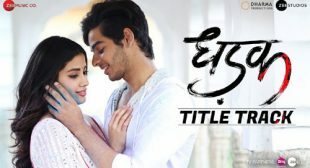 Dhadak Title Song Lyrics of movie Dhadak feat Janhvi and Ishaan is sung by Ajay Gogavale & Shreya Ghoshal, composed by Ajay-Atul and written by Amitabh Bhattacharya.